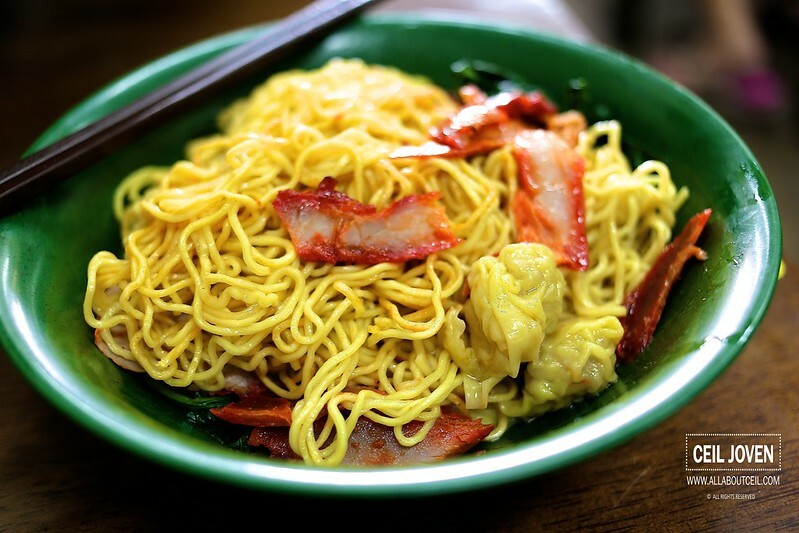 This particular wanton mee has been in my must-eat list for a while. My first encounter was years ago at Dunman Food Centre. I wanted to try then but the stall only started at 3 pm. Then, he closed down and moved to the current location. The 2nd generation owner has passed on and left this shop to his son. I heard the standard is still as good in the hand of the 3rd generation owner. I was there slightly after 1 pm. The shop was not as crowded as expected as there were still quite a few empty tables at that time. 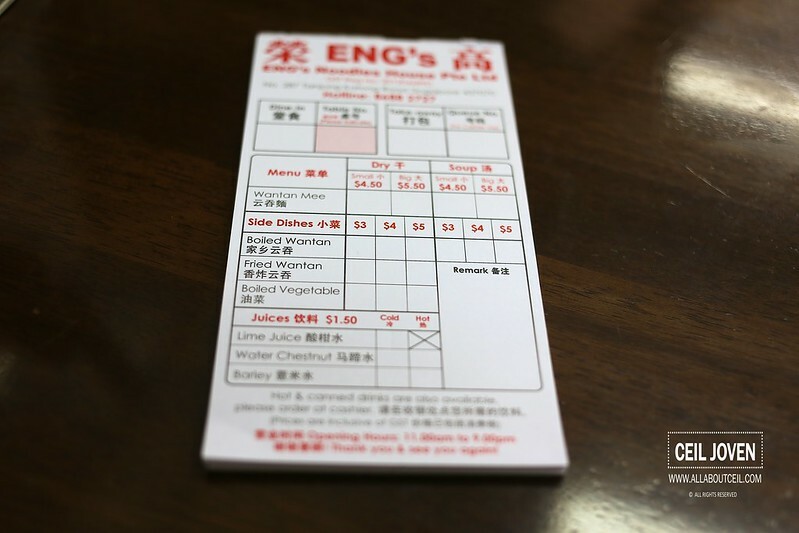 I didn't take notice of those order chits placed on the table and so i actually wanted to go over the counter to place the order. A friendly gentleman spotted it. He came by to tell me to fill up the order chit then proceed to make payment at the counter. When filling up the order chit, i left the box for table number out accidentally. When making the payment, i was asked for the table number. While walking back to the table, the same gentleman approached and told the lady at the counter that it is table number 15. I would think the service was an efficient one. 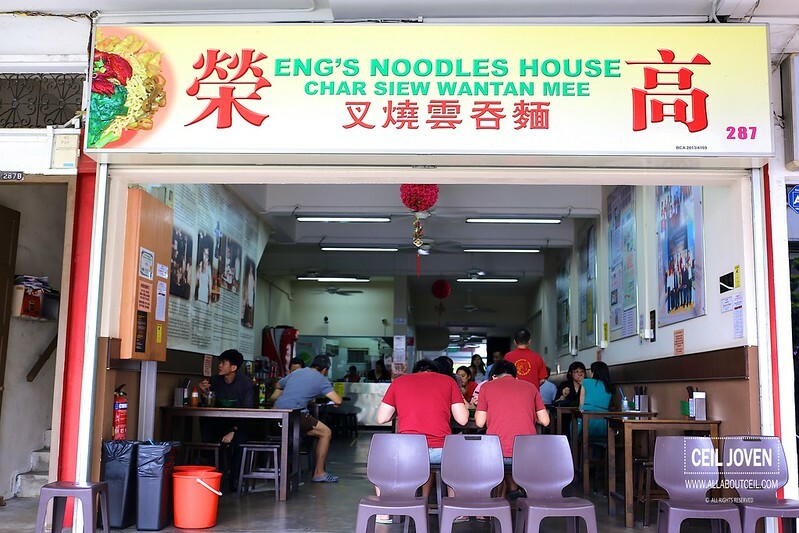 We ordered 2 bowls of large Wanton Mee at $5.50 each and a glass of lime juice at $1.50 for a total of $12.50. My attention rested on that bottle of chilli. It has got a label pasted on it stated, 'Beware of Super HOT Chilli.' (注意：超辛辣椒酱）. It just gotten me all curious about it. 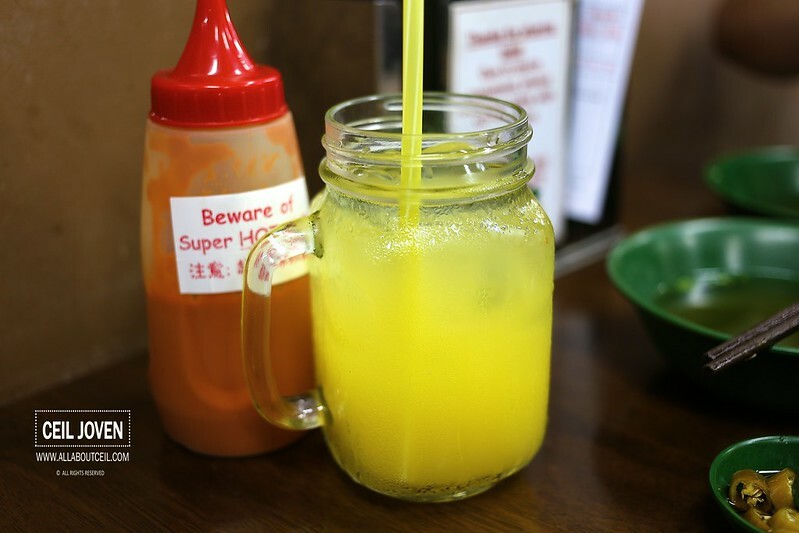 I have read about the extra spiciness of the chilli sauce in some reviews. 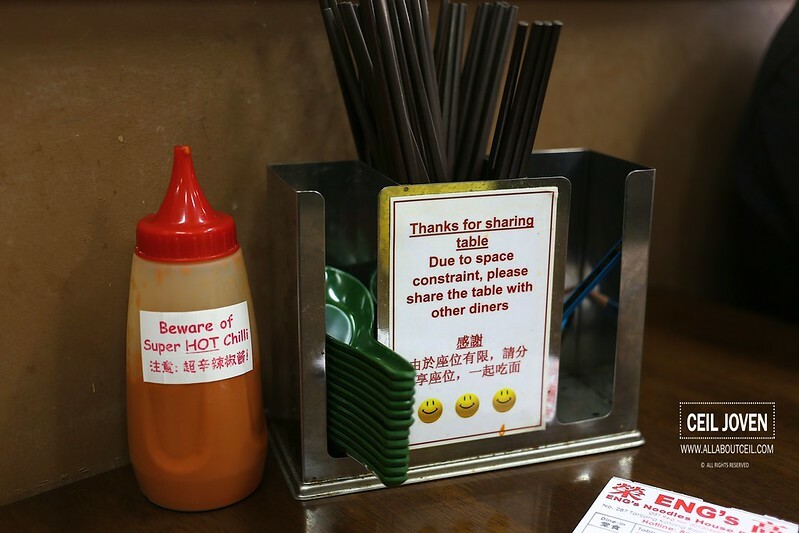 I guess their business must be really good as they pasted a notice on their cutlery holder stating, 'Due to space constraint, please share the table with other diners.' （感谢：由于座位有限， 请分享座位，一起吃面）. 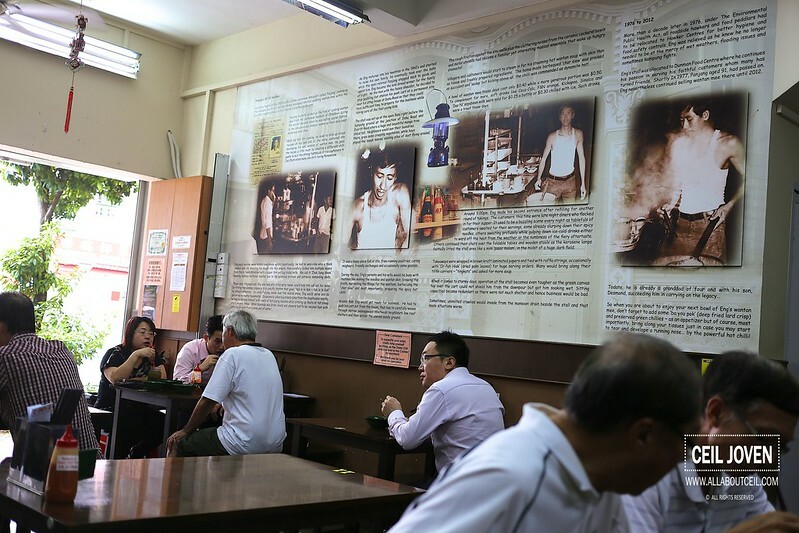 Somehow, sharing table is never quite a culture in Singapore though it's very common and acceptable one in Hong Kong. The lime juice tasted just right though the taste was slightly diluted after a bit. I collected it at the counter after done with the payment. The waiting time was a short one. The 2 bowls of noodle were served at the same time to our table. 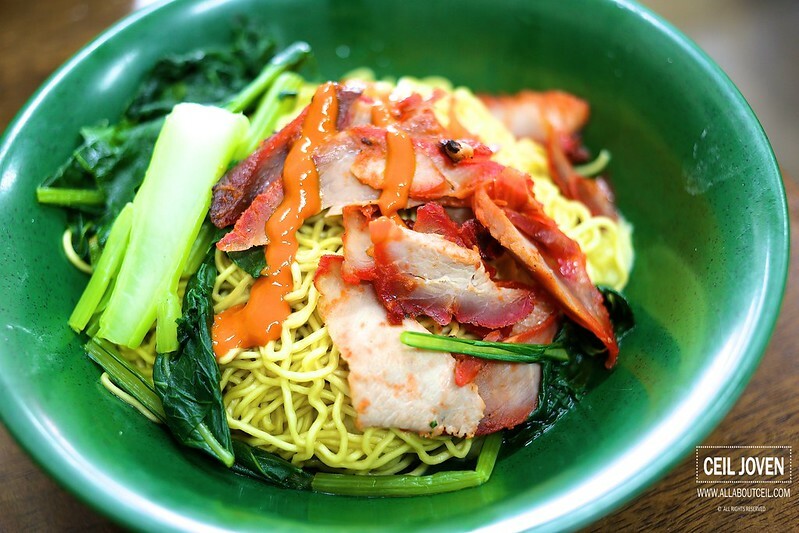 The noodle looked a little plain topped with a handful of sliced char siew and a few stalks of vegetables. I squeezed a little of the super spicy chilli from the plastic bottle. I mixed it a little then tasted it. It did not taste too spicy initially but the aftertaste was rather intense. 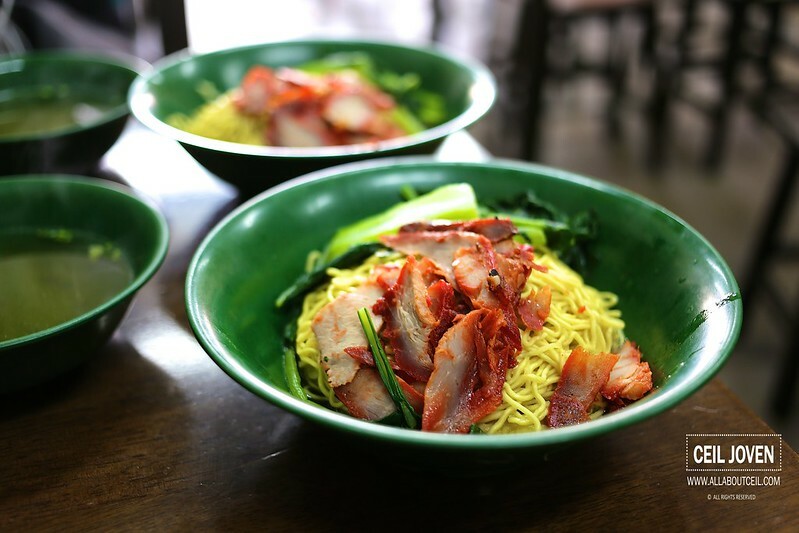 The texture of noodle was cooked well to give it the desired springiness at just the right softness. Those slices of char siew did not taste too impressively though. 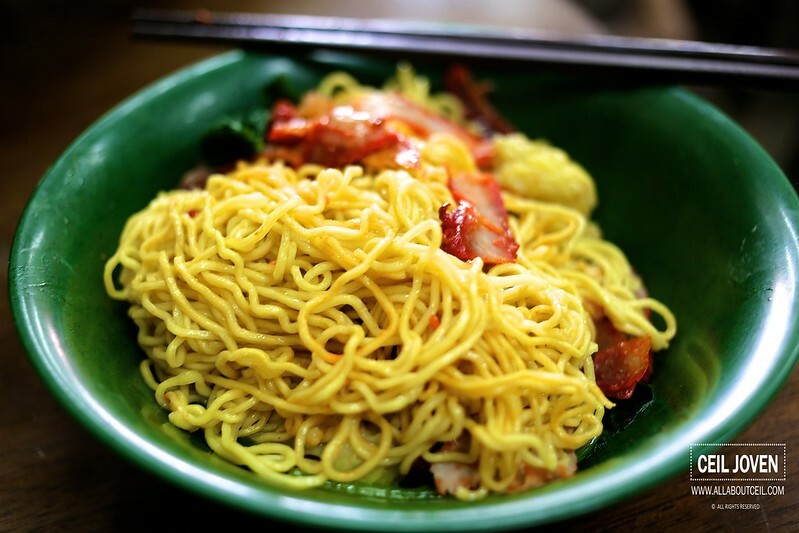 There was a total of 6 wantons hidden underneath the pile of noodle. I totally enjoyed the old school taste of those wantons. 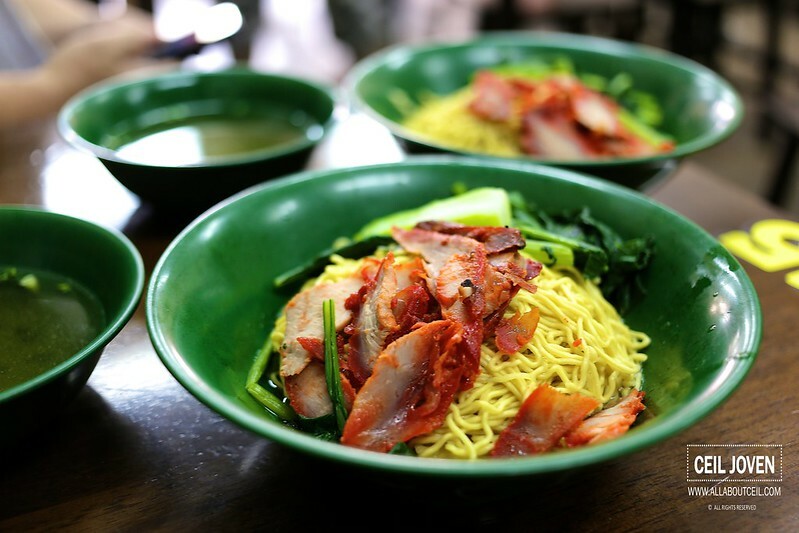 Though not the best wanton mee that i ever tasted but it is still worth a try if you happen to be in the vicinity. 287 Tanjong Katong SINGAPORE 437070.